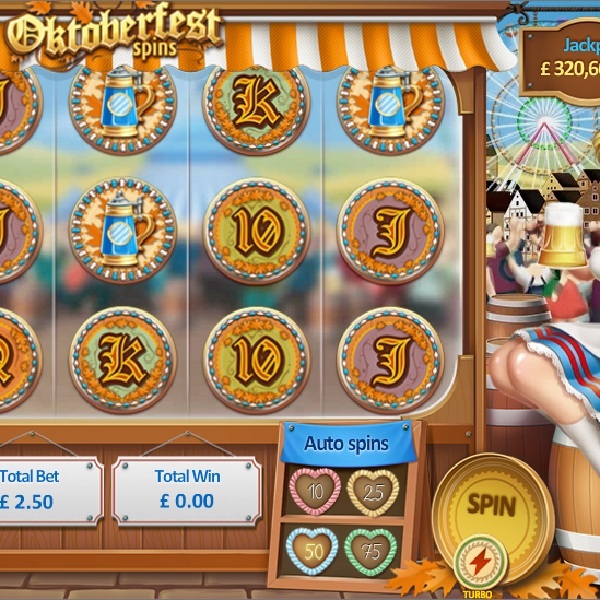 Those that love beer and have always wanted to go to Oktoberfest in Munich should check out Random Logic’s new Oktoberfest Spins slot. It is a 5 reel slot with 25 fixed paylines. The reels are set in a beer stall and the symbols include a beer stein, a box of bottled beers, pretzels, sausages and a mug of ale. The wild is a keg of beer and there is also a dog bonus symbol. After any non-winning spin you will receive a free re-spin during which the wild becomes an expanding wild on reel three. Landing the dog bonus in the centre of reels one and five gives you the chance to play three picking games where you can win multipliers of up to 33x. The slot also offers a progressive jackpot which can be won randomly.